Legrand North America, Inc. is the leading provider of products and systems for electrical installations and information networks wherever people live and work. The company incorporates its passion for the principles of good design across all of its divisions. About Legrand North America, Inc.
Legrand North America, Inc. operates its Ciudad Juarez, Mexico plant under the umbrella of The Tecma Group of Companies’ Mexico Shelter Manufacturing Partnership (MSMP). By performing these functions as a part of the Tecma Mexico Shelter Manufacturing Partnership (MSMP) Legrand North America is free to concentrate on the production of its products and their quality, as well as the efficiency of the manufacturing processes that drive the firms’ profitability. Mexico shelter services provided by the Tecma Group of Companies also greatly reduce and mitigates Legrand’s risks in the areas of Mexican accounting, Customs and employer responsibility. In essence, under Tecma’s Mexico Shelter Manufacturing Partnership (MSMP) companies like Legrand and others of similar, and different sizes, can gain and maintain a competitive advantage in their respective industries by lowering their costs in nearshore Mexico, as well as by leaving the performance of their non-value-added and non-strategic functions to the care of Tecma’s trusted team of Mexico manufacturing support professionals. To read Legrand North America, Inc. video transcript, click on link. 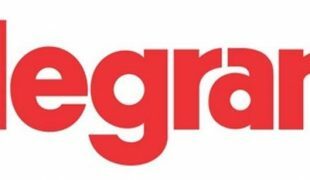 Legrand North America, Inc. designs, develops, and markets products and systems for electrical installations and information networks for use in commercial, industrial, and residential markets in the United States and internationally.